Social Media is about engaging with your audience. 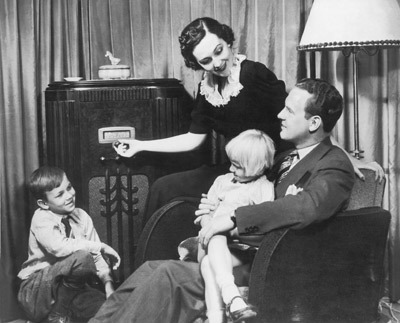 If you can find new audiences, you can expand your reach. Sports teams and leagues have mostly focused on growing the audience they already have and know – their traditional fans. Another way is to identify and connect with new segments of your fan base. 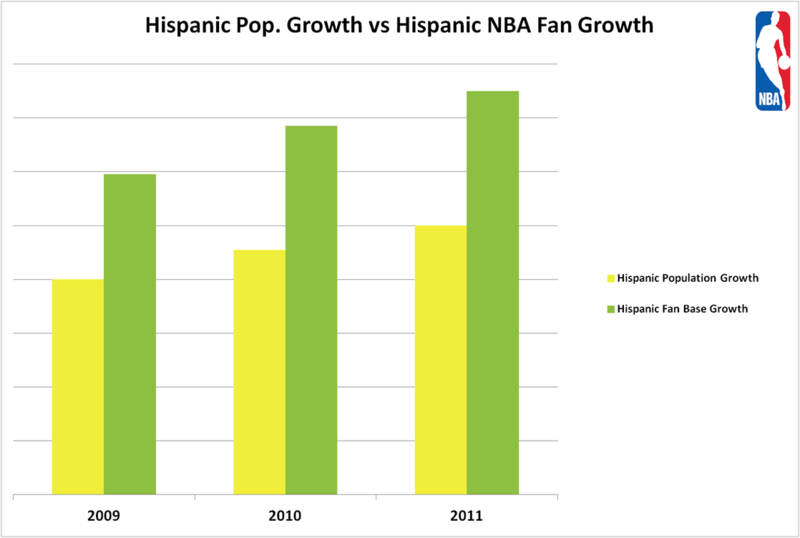 Hispanics represent a major opportunity for sports teams and leagues. Why? Compared to the general population, Hispanics use social media more and they are more avid sports fans. That’s a pretty potent combination. Some baseball teams, such as the Boston Red Sox, have started Spanish-languageTwitter accounts to reach their Spanish-speaking fans. It’s a good first move, but there is much more that can be done to reach this sizable population. Hispanics and sports are strong partners. 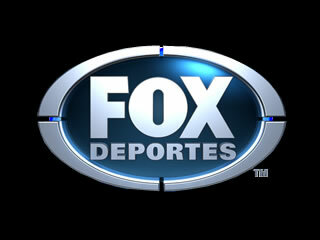 Three of the top seven Spanish-language cable channels are sports stations (Fox Deportes, ESPN Deportes and Gol TV). When it comes to sports interests, more than 90% of Hispanics are sports fans, compared to less than 80% of the total population, according to the San Jose Group marketing agency. 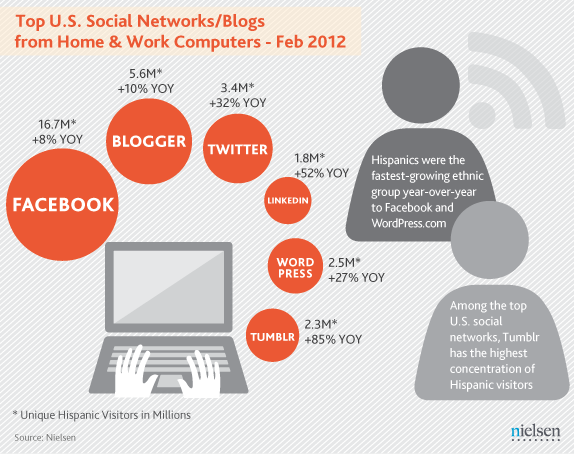 When it comes to social media, Hispanics are heavy users. 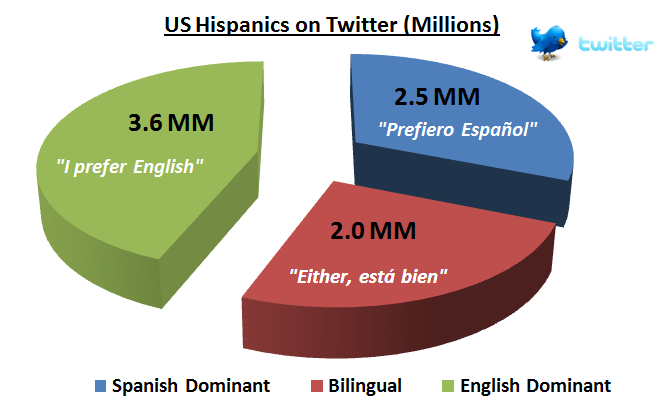 On Twitter, Hispanics are prolific users. 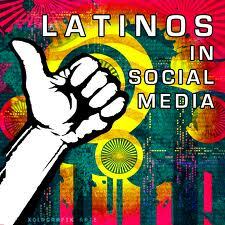 According to a Pew Research Center survey, 18% of Hispanics use Twitter, compared to 8% of the general population. The dominance extends beyond Twitter, according to a uSamp survey in 2011 of online users (according to the MediaPost’s The Social Graph blog): 90% of Hispanic respondents are on Facebook, compared to 81% of the general online population; 57% of Hispanics use YouTube, compared to 46% of non-Hispanics; and 47% Hispanics say they use Google+ compared to just 18% for the general population. Nielsen says that Hispanic video viewers are 68% more likely than non-Hispanic White viewers to watch video on the Internet, and 20% more likely to watch video on their mobile phone. They’re also heavy phone users in general, sending and receiving some 941 SMS text messages per month – more than any other ethnic group. And they make 13 calls per day on their mobiles, which is 40% more than the average U.S. consumer. In the sports world, some are starting to put these numbers together and going after this large, new market. The NBA is at the forefront. 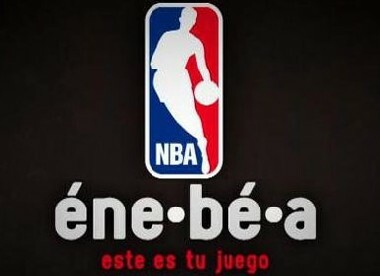 The league has launched a whole Spanish-language platform, called éne-bé-a (the phonetic pronunciation of NBA in Spanish). The platform, which has a Facebook page and Twitter account, also launched its own campaign. 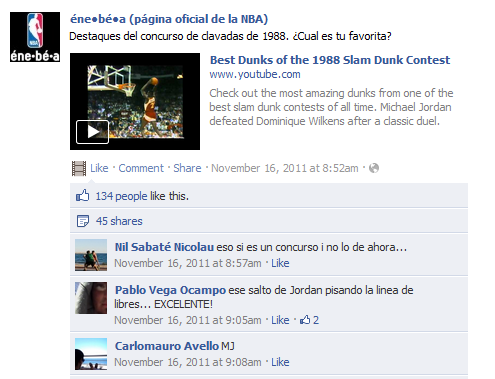 The campaign, called Emoción (emotion), leveraged their social media channels to keep fans engaged during the lockout. 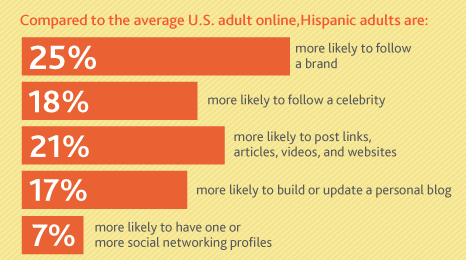 Hispanics are 25% more likely to follow a brand, 18% more likely to follow a celebrity, 21% more likely to post links, articles, videos and website, and 7% more likely to have one or more social networking profiles. 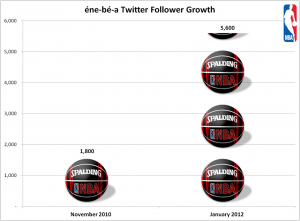 The NBA did the smart thing and grew their Spanish-language social media accounts organically and cross-promoted their Spanish-language platforms to their English-speaking Hispanic fans. 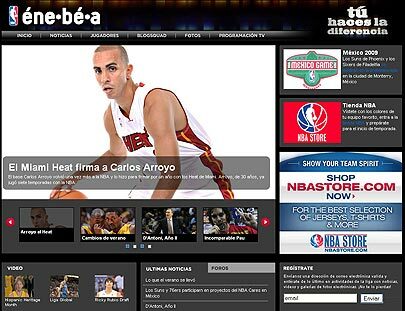 From the Social Media Spanish blog: “ ‘One strategy we’re currently focusing on is heavily cross promoting our éne-bé-a pages with our general market [English-language] pages,’ said Saskia Sorrosa, the NBA’s Vice President of Multicultural Marketing. 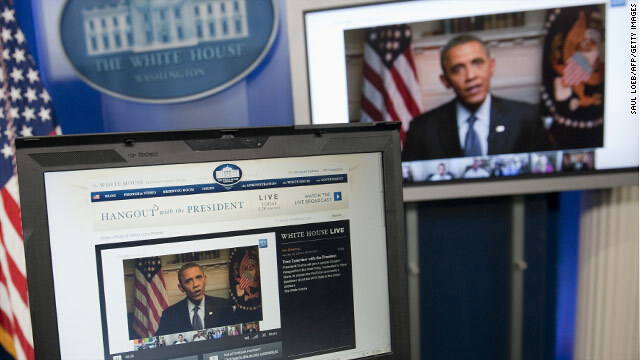 It’s a very smart move because not all Hispanics prefer to consume content in Spanish. And while Spanish-language social media channels helps engage non-traditional fans, it is important to not employ a one-size-fits-all, or a one-language-fits-all approach. As Major League Baseball, which does so many things well in the social media space, continues to pursue Hispanic fans, it can steal a sign or two from the NBA. ARE YOUTUBE AND TELEMUNDO MERGING? Google’s YouTube has partnered with Colombian actress Sofía Vergara and independent producer and former NBC Chairman Ben Silverman to launch NuevOn, a bilingual, Hispanic-targeted pop culture and celebrity-oriented channel on the video platform. NuevOn, which is expected to launch in April, is among a suite of Hispanic-focused channels that YouTube is rolling out to cater to the growing online Hispanic population. 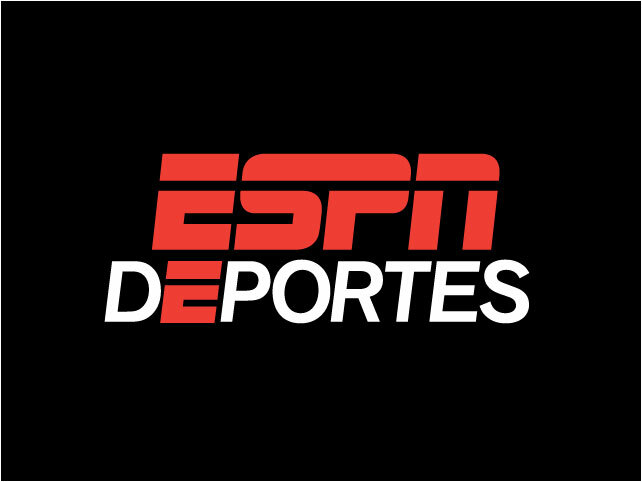 Other properties include channels featuring sports, food and pop-culture content, either in English, in Spanish or bilingual. NBCUniversal has combined its Telemundo and iVillage brands to create “iVillage Mujer de Hoy,” a multiplatform, bilingual content destination targeting the female Hispanic audience. The offering will exist online at both iVillage and Telemundo, with highlights on Telemundo’s morning show Levantate. Beginning in May, Telemundo.com will rebrand its Spanish-language “Mujer de Hoy” channel as “iVillage Mujer de Hoy,” creating both English- and Spanish-language content focusing on food, family and fashion. Jessica Serrano, editor of “iVillage Mujer de Hoy,” will appear on Telemundo’s Levantateto report on topics trending in the female Hispanic audience. Following her appearance, the conversation will continue online at iVillage, Telemundo.com and social media sites including Facebook and Twitter. DO REPUBLICANS HAVE SOMEONE IN CHARGE OF HISPANIC OUTREACH? Inclan directs a multipronged battle strategy. 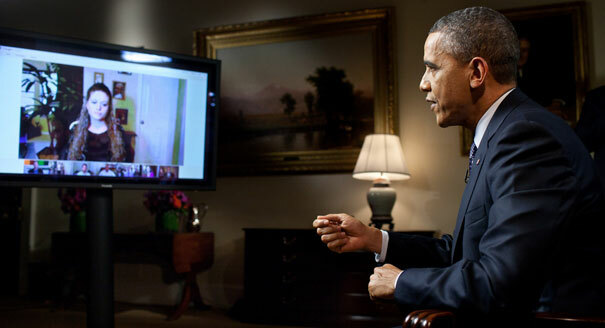 She attended the Hispanic Leadership Network conference last month and has been doing interviews on television and radio in English and Spanish, holding call-in press conferences with reporters across the country, and promoting the “Obama failed” theme in her own tweets and those of the newly launched @RNCLatinos. The party put out a YouTube video in Spanish titled “Unkept Promises: Nevada Edition” and has been actively posting updates on its new tumblr blog aimed at Hispanics.